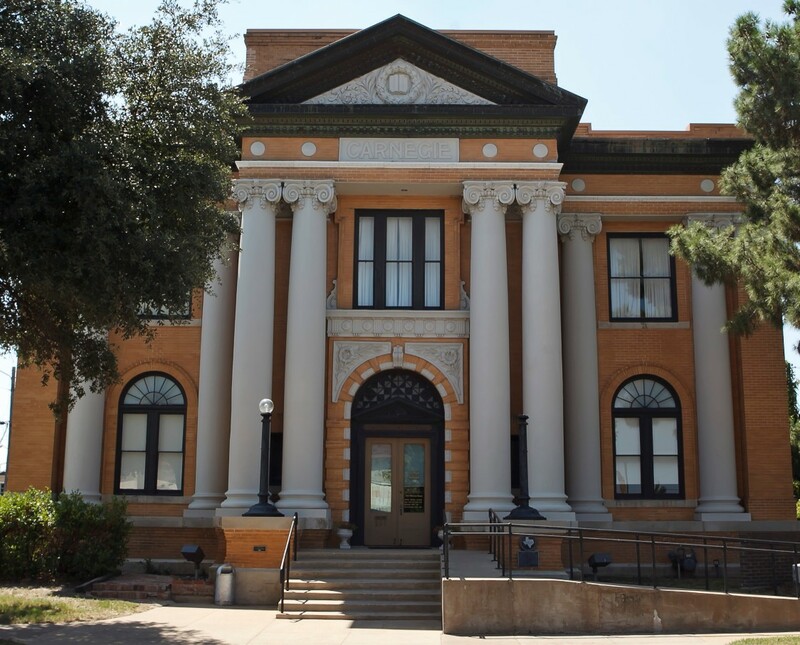 Approximately 40 minutes south of Fort Worth, Cleburne is a charming town with a quaint downtown district with friendly locals as well as fun attractions and one-of-a-kind museums—the kind of places you can’t find anywhere else. So if you’ve never learned the art of blacksmithing at an outdoor ranch or seen original costumes from Gone With the Wind, you need to get to Cleburne. 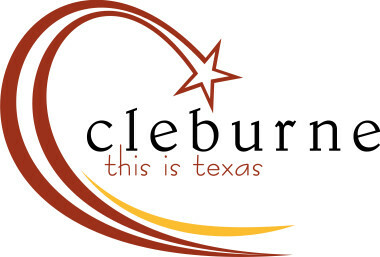 Here are seven things you can only do in Cleburne, Texas. 1. 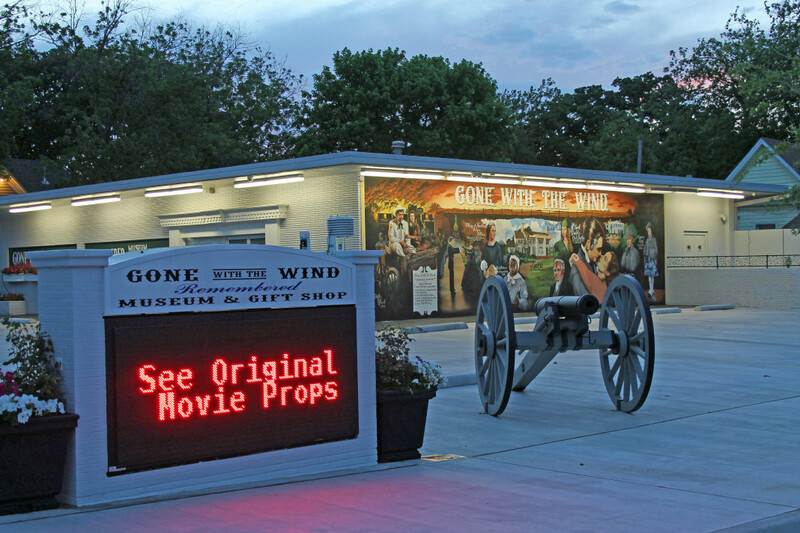 Visit the Gone With the Wind Remembered Museum. If re-reading Margaret Mitchell’s book and watching Vivien Leigh’s portrayal of Scarlett O’Hara isn’t enough to satisfy your fandom, then the Gone With the Wind Remembered Museum might do the trick. There’s arguably no better place in the country to visit if you’re a fan of both the book and subsequent movie; inside in the museum are original costumes worn by Scarlett O’Hara and Bonnie Blue Butler, furniture from the Tara Mansion, and Civil War artifacts to highlight the historic event largely present in the plot. There’s a tribute section to Butterfly McQueen and an impressive collection of vintage dolls in Victorian dresses inspired from the film. The 6,000-piece collection was started by diehard fan Vicky Rogers who amassed the rare items over the years. Her collection grew so large that she eventually ran out of room in her home, leading her to open up the museum for the public to view. During an interview with Star Telegram, Rogers admits that the armchair on display is her favorite possession, where Rhett Butler famously said “Frankly my dear, I don’t give a damn.” Although the rare items aren’t available for purchase, you can swing by its gift shop to purchase Gone With the Wind memorabilia of figurines, mugs, plates and more. Plan accordingly as the museum has odd hours and suggests visitors to call in advance to ensure that it will be open on the day of visit. 2. Attend Cool local events. Despite Cleburne’s relatively small size, it’s famous for hosting some of the best festivals and events in the region. 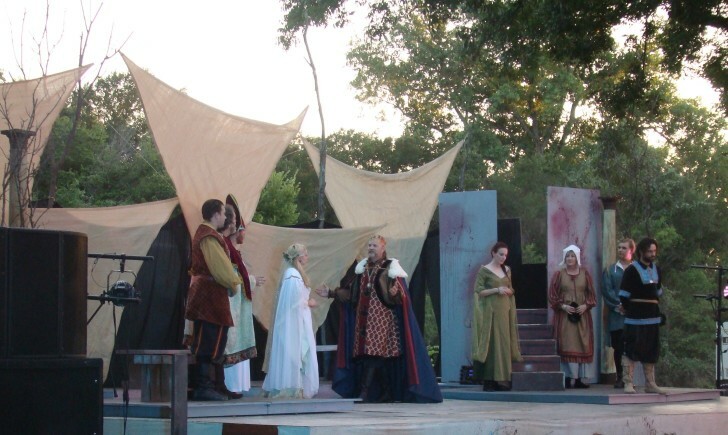 Shakespeare in the Park is a popular annual two-day summer event. Held at the Buddy Stewart Park near the downtown district, the event hosts an outdoor performance of Shakespeare’s “Much Ado About Nothing” by the local Plaza Theatre Company. Another exciting event is the Cleburne Wine & Art Festival, where guests can sample some of the best vino and dishes in the region. Traveling throughout Texas, winemakers and restaurateurs showcase their best delicacies on Market Square to help raise money for the Rainbow Room, a program to help the children of Johnson County. Among the wineries that serve samples at the event are Texas Southwind, Haak and Big Rock. Up to 58 vendors are expected to appear at the next event. Pioneer Days is a fantastic festival to travel back into time and watch re-enactors in authentic attire. Guests can explore a Civil War encampment and admire the Native Americans in costume as they battle each other. Food and craft vendors are available for guests to grab a hearty lunch and shop for souvenirs. The event is held at the Chisholm Trail Museum. Check out all of Cleburne’s most popular annual events here. 3. Tour the Layland Museum. A fantastic way to get a sense of Texas’ history is to spend an afternoon or longer at Layland Museum on North Caddo Street. Located in a Carnegie Library building, the museum has rare artifacts from Native Americans in the region (some items date back to 300 years) including a teepee, pottery and apparel. Other exhibits include the Gillespie Library, full of rare and first edition books, and the Pioneer exhibit, featuring old photographs and clothing items. Additionally, the museum is home to the 20th Century Gallery showing many items from the 1900s including an automobile from the 1920s and vintage gas station pumps. The Layland Museum has been called an excellent place to bring the kids for educational purposes. 4. Take a Historic Homes Tour. 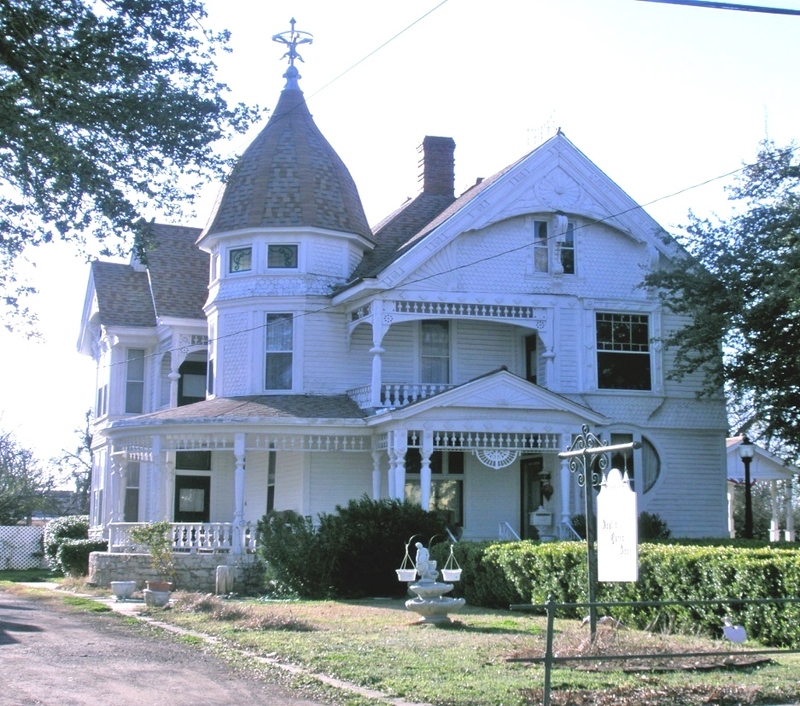 Check out the gorgeous houses and mansions on a self-guided Historic Homes Tour throughout Cleburne. The city was founded during the Civil War’s Chisholm Trail Cattle Drives, when many passersby decided to stay in the area name it after their General, Patrick Cleburne. Today, visitors can see many of the still-standing homes from the time period. With a downloadable brochure, you can check out a local church built in the 1871, several bungalow and Victorian houses (some dating up to 200 years), and a city hall. While driving past the historic homes, read the brochure to learn about the house’s structure and the history of its previous owners. There are close to 100 buildings listed on the brochure, but most are within close proximity to one another. 5. 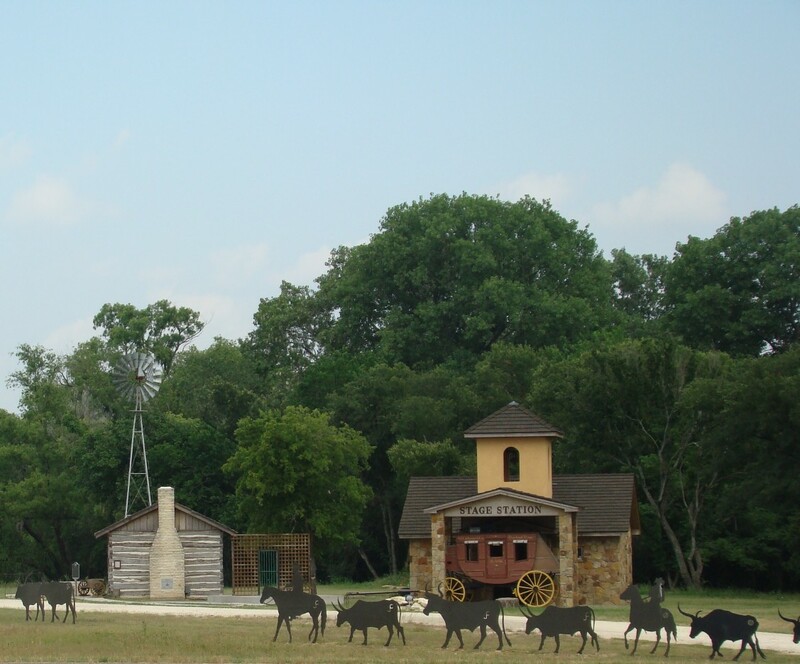 Visit the Chisholm Trail Outdoor Museum and Big Bear Native American Museum. For a hands-on experience of blacksmithing and watching re-enactments of how the early pioneers lived, the Chisholm Trail Outdoor Museum and Big Bear Native American Museum will do the trick. Guests will notice a large teepee and life-sized cattle silhouette out front before going in. The site features a large outdoor space with cottages, teepees, and stations for visitors to make multiple stops and learn about each destination. The stops include Rocaille Ranch (trading post), Caddo Peak (where settlers lived in peace with the Native Americans) and Sandusky Place (a stop for freshly made bacon and eggs that fed farmers). Visitors can explore inside a one-room schoolhouse, teepees (to see how the natives did blacksmithing) and a sheriff’s office. Live demonstrations will be given throughout the museum by staff in full regalia. 6. Spend time at Lake Pat Cleburne. 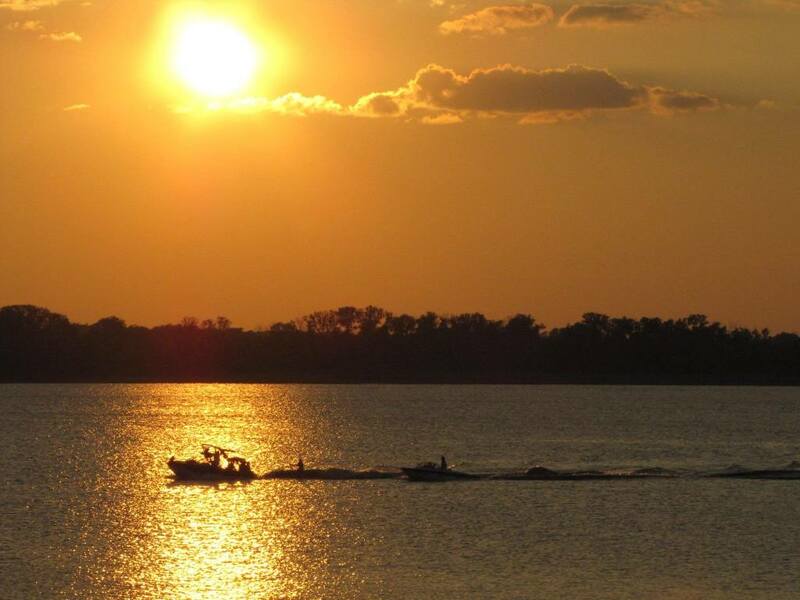 Get your nature fix at Lake Pat Cleburne, a one-of-a-kind water reservoir that’s ideal for recreational water sports. The area is named after a well-known confederate soldier, Patrick Cleburne, who was hailed for his bravery in his rank. Today, guests can do several activities in the area, including fishing for largemouth bass, catfish and crappie. A boat ramp is accessible to the public for visitors to dock their boats, kayaks and canoes. The lake is 2.4 square miles long, making it ideal for waterskiing. And if you want a relaxing afternoon, you can picnic and swim in the scenic lake with rocks and sand along the banks. 7. Plan ahead for Whistle Stop Christmas. 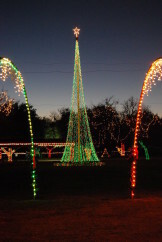 Each year around Christmastime, Hulen Park comes alive with lighted displays. At Whistle Stop Christmas, 3.5 millions lights form in shapes of Christmas trees, arches, locomotive and other Texas-themed icons. Free to the public, guests can go on train rides or a horse-drawn wagon rides through the lights. The month-long event also hosts special things to do like outdoor concerts, photo opportunities with Mr. and Mrs. Claus, a downtown parade and other live entertainment. The 2016 Whistle Stop Christmas will be an especially eventful one: it’s the 20th anniversary of the annual Cleburne celebration.